FTC Disclosure: I participated in this sponsored post campaign through One2One network. All opinions and experiences I shared are my own. One of the things I like about U.S. Cellular is their free battery exchange. If you are out and your battery is almost to die, you can go into a U.S. Cellular store and they will swap your dead battery for one fully charged. Not only does this come in handy but one time I thought my phone had died, but turned out that my battery wouldn't charge, so a battery swap saved me from getting a new phone, which I fully expected to have to do! No one in perfect, and I had an issue with billing at one point, but I called customer service, and it was straightened out quickly. I also love how I get a discount by having my bill set up to pay automatically! Because it's paperless it saves trees, and saves money! U.S. Cellular is now introducing their Hello Better Campaign. What exactly is the Hello Better Campaign? It's saying Goodbye to your current carrier and saying Hello to U.S. Cellular. Thus, Hello, Better! Did you know that many people are frustrated with their wireless carrier, but don't want to switch? U.S. Cellular thinks you deserve better! 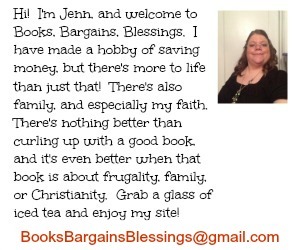 As I mentioned above I get a discount for having automatic payments set up. I also have overage protection, all incoming calls AND texts are free, no contract once the first contract has expired, free battery swap. U.S. Cellular boasts the only points program of any wireless carrier. Each month I earn points (and I even received bonus points on my birthday!) and I'm able to exchange them for a discount on an upgraded phone, ringtones, and more. I am very happy with U.S. Cellular. Can you say the same for your wireless provider? If you aren't happy, what is preventing you from switching? The most likely reasons are it's too expensive to get out of a contract, it's too much trouble, people don't want to get a new contract, the belief that all carriers are the same, or the new carrier doesn't have the phone they want. 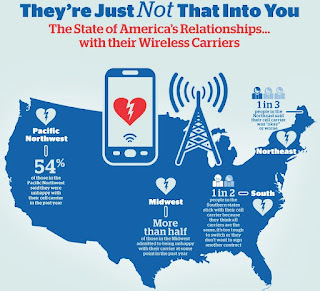 In a recent U.S. Cellular Survey, 56% of people said they were unhappy with their current provider, but only 35 percent have switched carriers. U.S. Cellular thinks you deserve better! They believe you are a person and not a number! They believe in treating the customer with respect, and every time I've ever called customer service or stopped in at a retail store I have been treated with respect. In addition, the survey that U.S. Cellular did showed that the majority of customers are in the "Seven year Itch" stage with their current carrier. What they mean by this is that people are comfortable with their carrier but think they might be missing out on something better! Thus, comes Hello, Better from U.S. Cellular. I'm very happy with U.S. Cellular. There are a number of different U.S. Cellular phone plans -- there's one to meet your needs. What I need is different than what my mother needs, but we both have a plan that is just right for us. If you aren't sure what plan best suits your needs even after looking at the website, just stop in to a U.S. Cellular location, and they will be happy to tell you what your options are. So are you happy with your phone company? If not, you might want to say Hello Better! I need to check this company out! I found out how expensive batteries are for phones - outrageous. Also, to be able to get a discount for auto billing - another great discount! !